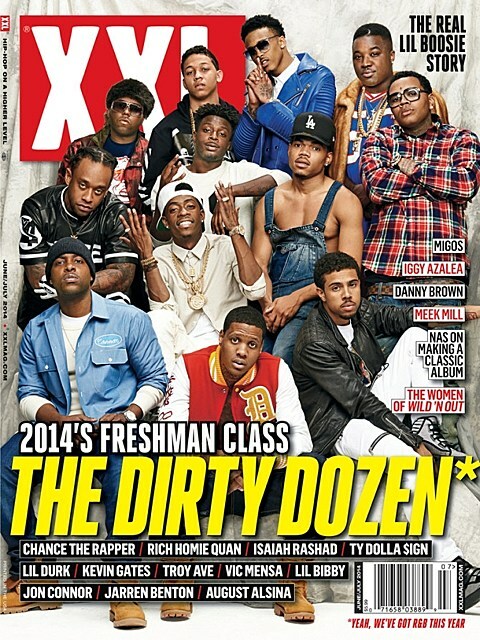 The XXL Freshmen 2014 Class was recently announced and includes Chance the Rapper (who hardly feels like a “freshman” in 2014), Rich Homie Quan, Isaiah Rashad, Ty Dolla $ign, Lil Durk, Kevin Gates, Troy Ave, Vic Mensa, Lil Bibby, Jon Connor, Jarren Benton and August Alsina. As usual, the class is celebrating by going on a tour, and though all dates haven’t been announced we know it hits NYC on June 9 at Best Buy Theater. Not surprisingly, Chance the Rapper isn’t on the bill (nor is TDE signee Isaiah Rashad or Lil Durk), but the rest of the class is. Tickets go on sale Friday (5/9) at noon. Both Rich Homie Quan and Ty Dolla $ign are on Wiz Khalifa‘s ‘Under the Influence of Music’ tour which hits the NYC-area on July 31 at Jones Beach and August 3 at PNC Bank Arts Center. Tickets for those shows are still available. Wiz and Ty also both play Hot 97 Summer Jam (tickets). Chance the Rapper will be in NYC for Governors Ball and Isaiah Rashad will be in upstate NY for The Hudson Project. Ty Dolla $ign – “Paranoid” ft. B.o.B.